W-Sitting: What is it and how can you help your child? Learn more about w-sitting and why pediatric therapists caution against this position. Each time I walk into a classroom, I can find at least 3 children who are on the floor in the W-Sitting position…and they kind of remind me of melting snowman. Their legs are wide around their bottoms, their trunk posture is often droopy and they aren’t able to move their arms outside of their base of support to play. I am constantly saying “fix your legs” or “NO “W” SITTING!”. What’s so wrong with W-sitting? Let’s explore. W-sitting looks like this: a child sits on the floor, his bottom is between their legs, and his knees are bent with legs rotated away from the body – if you stand above him and look down, it looks like his legs are forming a “W”. All children have the potential to begin the W-sitting habit. In this position, a child’s base of support is wider and his center of gravity is lower, allowing for increased stability through the hips and trunk. It’s a convenient position for play because they do not have to work on keeping their balance while also concentrating on toys. Why is W-Sitting Problematic for Kids? In this position, a child cannot achieve active trunk rotation and cannot shift his weight over each side making it difficult to reach toys that are outside of their immediate reach. It is so important for kids to be able to weight shift and rotate in order to develop adequate balance reactions, for developing the ability to cross midline, and to have access to the movement needed to attain other important developmental milestones. Bilateral coordination (the ability to effectively use both sides of the body together) is delayed as a result. Every motor skill a child develops is a product of developing the milestone before. 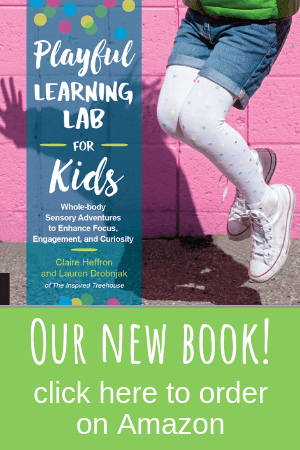 So, if a child has difficulty developing bilateral coordination, he may then demonstrate delays in skills such as developing hand dominance, skipping, throwing, kicking, etc. W-sitting causes the hip and leg muscles to become shortened and tight which may lead to “pigeon toed” walking and could increase chance of back or pelvis pain as they grow. One study also suggests that W-sitting as a preschooler may increase the likelihood of a child becoming flat footed in both feet (European Journal of Pediatrics, Chen KC, 2010)*. If a child is frequently in a W-sitting position, core strength may be an issue, which may lead to poor posture, delayed developmental skills, and overcompensation of other muscle groups. If your child is a W-sitter, there are a few things you can do to help him correct his sitting. First and foremost, encourage other ways to sit on the floor. Side sitting (to either side), long sitting (legs out in front), pretzel sitting, playing in all fours, or sitting on a low bench or stool. Consistency is important! If you find that your child has difficulty maintaining any other position than W-sitting, it may be worthwhile to seek the advice of a pediatrician or physical therapist for suggestions on how to correct his position and for treatment of any underlying strength deficits or muscle tightening that has resulted. If you’re a therapist or teacher who frequently encounters children who are W-Sitters, share a copy of our printable W-Sitting handout with parents and caregivers! Read more about the W-Sitting Controversy and hear how others are weighing in on the W-Sitting Debate! Check out all of our best therapy tools here! Hi Emma….thank you for taking the time to comment. Kids definitely need some cueing to break the W sitting pattern and really be aware of how their bodies look. A mirror helps as well! Let me know how it goes! I’m 49 years old, and I still sit like that. Matter of fact, sitting like that and learning to navigate such things as pivoting while playing with others may have increased My mobility. I don’t have flat feet, I ran track and played Football in High school. My little brother who couldn’t sit like that has flat feet. My Daughter is 22 and She still sits like that from time to time. And She doesn’t suffer from any of Your “problems” either. She also ran track in High school. As for a cause of shorten muscles. Wearing 2in or higher heels can lead to shorten muscles, thrombosis and blood clots. But I bet all of You women are wearing them. As You stated it’s a solid base. If They feel they’re hampered because of the way they’re sitting, They’ll change. I’m 31 years old, and I sit like that all my life. I also think W-sitting increase my mobility. My two daughters sitting like that from time to time and has no problems you wrote about. I’m 32 and I sit like that too. So does my daughter. I was also an athlete, my feet are fine, my balance is great. My posture is complimented all the time. My daughter is well beyond her peers with this also. Cross legged is extremely uncomfortable for both of us. There are a ton of comments that support this. I’d take another look at this. I was one of the only one in school who did this, and I know plenty of kids who have all the problems described and they didn’t W sit. There may be instances with issues, but I’d venture to say it’s not causation based on the testimonies following this article. If it’s natural, why make someone sit in ways that they’re completely uncomfortable in? Especially when so many do it and don’t end up with half the problems of their peers? Totally not convinced. But frankly, no matter what you state, as soon as I read “I bet all You women…” you immediately discredit the rest of your statements. Don’t attack others, and certainly don’t assume you know that ALL women act a certain way. Thank you for your support Sara. I sold shoes at Nordstroms while attending college. It is actually a fact that heels are horrible for a woman’s body, but you never hear too much about it. In fact, it can be complicated for woman who don’t like heels. You feel forced to wear them for most jobs and when you dress up. On top of that, woman’s sneakers are not even as well constructed as men’s because we don’t want them to look to bulky. So, as much as the phrase, “I bet all you woman” turns you off, it doesn’t make his statement less true or valid. I don’t know any female who is walking around in men’s shoes, so apparently we are all okay with shoes that don’t properly support our bodies. Actually I sat like this a lot as a child and was laughed at by the rest of my family as being ‘doubled jointed’. As an adult I have a lot of stiffness through my hips (I can never get either of my feet between my hands when stepping forward in yoga) and crepitus in both my knees despite having never played a lot of sport. Once at Bikram I was trying the asana where you sit down between your folded legs (similar to the W postion but with your legs and feet tucked in), and the teacher asked me did I have a problem with my hips, knees or ankles. I just smiled because it’s a yes to all three! I could still easily achieve a W position, but with hips that crack like gunshots, i really think this may have been the seat of all my problems. Ha! I thought the exact same thing! I can’t stand these types of responses. Tons of people have drove drunk before, and nothing bad happened, so it MUST be safe! That’s the way it works, right? Ugh, if you don’t agree or care about the article…move on. It’s not for you. I am 48 years old and I still sit this way. Its very comfortable for me. I have no foot or leg problems and am very active. Really? I can’t believe someone has actually come up with a “term” for it….”W-sitting”? I wear heels every day, and actually would rather heels, to anything else……for all its worth…..stop with this nonsense….its like telling your child to stop crossing their eyes cause they will be cross eyed. In fact, I will sit with my grandchildren this way without a second thought. Thank you!!! This article is alarmist at best. I had an OT friend tell me it was a problem, I frantically ran to an pediatric orthopedic surgeon who said it was NOT a problem. It’s as much a problem as feeding formula…which I didn’t but you get the point. Not everyone who isn’t breastfed will be an idiot. Not everyone who W sits will have problems. Man, this whole parenting thing is rift with judgement isn’t it?? Thank you LL! Just another article to tell us how our parents did it wrong or how we as parents are doing if wrong! I “W” sit and have my whole life! Hi! I am a 57 year old female and I still W sit. I was a tomboy all my life, playing every sport I could. I too have high arches not flat feet. I always hated wearing heels because the shoes were so uncomfortable. Also, I found that sitting in the W made it much easier to reach around and out for things. And I can still stand up from the W sitting position. I couldn’t do that from a crossed leg position, which I still find uncomfortable. I always had great eye hand coordination, being very ambidextrous. I write and eat left handed but play all sports right handed. I always had great core strength, being so active in sports. I have medical problems now that are genetic. And though I was the only one of my siblings to W sit, they have the same genetic problems. Recently my grandson was noted to be W sitting and his parents have made a big deal about it so I decided to do the research. I am not sure what to believe now as I know what my life has been, and it is certainly nothing like the articles I have read. W sitting is, and always has been, much more comfortable for me. And I can still stand up without assistance from that position. Me too! I’m almost 60 and still sit that way! I was a Equine vaulter, very athletic and had exceptional balance my whole life. I’m 59 and still sit like that! I’m not athletic, but then, none of my family are — parents included, we were a bunch of nerds. I don’t have hip or knee problems, but that’s probably due to not wearing heels. Hi, I always sat like this as a kid – I had to, sitting cross legged was painful. I was born with hip displacia which was not corrected. I can still sit like this and swing my legs around without my knees leaving the ground, until my toes touch each other. My balance has always been fine – been horse riding for over 30 years! I have been “W” sitting my entire 41 years of life. I have no joint, hip, knee or ankle problems. It is the most comfortable way for me to sit on the floor. I have been active in many sports through out my life with zero problems. From yoga to horseback riding, soccer, softball, touch football, women’s rugby and shaolin martial arts. I tend to be more flexible then most people and not restricted in any movements at all. My 6yr son also sits like me and I encourage it; he is also active and flexible. In my experiences this article states the minority and not the majority. Hi there i was sitting like that my whole life and all the children always made fun of me. Im 23 years old with a hip replacement and must go for the second one this year. I’m a classic example of what is sometimes called “clumsy child syndrome,” and I grew up in a time when there was very little awareness of such issues. In fact, the term wasn’t invented until I was almost through elementary school, and I didn’t hear of it until adulthood. Yes, the “forbidden W” was more comfortable for me to sit than cross-legged (which to this day is actually painful). I also was always bad at sports, never learned to ride a bicycle (a very serious handicap in childhood), and have always had poor handwriting. The whole time I was growing up, I had to suffer with teachers criticizing my handwriting (in fifth grade, a substitute teacher made sure to reprimand me in front of my classmates saying, “my little third graders can write better than that”), I made up creative excuses to hide from neighbor children that I could not ride a bike, and despite my best efforts I took longer to learn every skill than every other child in my gym class. But at least I was blessed not to have someone in my life who constantly told me I looked like a melting snowman. For that, I am grateful. Too bad this article will inflict that humiliation on innocent children growing up today. This article promotes an inexcusably simplistic view of what the “forbidden W” means and reinforces the assumption that these kids could all sit “normally” if you just told them to. I have been around it most of my life. My wife would sit like this as did my daughter who was an athlete and quite intelligent especially in math and science. My grand daughter has also done this for years is social and extremely intelligent in STEM related classes and language. She has a very strong core as did her mother at birth is very athletic in those sports she likes. She is also a state and regional champion in competitive gymnastics and is now a collegiate gymnast.where she is studying physical therapy with an emphasis on pediatrics. With this in mind I’m not sure I buy the whole therapy you are selling. Thank you so much for writing this! My 4 year old is a chronic W sitter (which I wrote about here: https://theinspiredtreehouse.com/child-melting-look-w-sitting/) and my husband is always questioning my need to constantly correct her! Whoops, here’s my link http://www.stillplayingschool.com/2013/06/the-problen-with-w-sitting.html I was copying yours to send to my husband!!! THANK YOU for sharing your article!! I love that you sought out the advice of an OT and that you posted pictures of “corrected” sitting postures. I hope “E” has learned to use her core to stabilize her so that she can enjoy those new sitting patterns!! Thank you for this article! We were referred to an Orthopedic doctor because we thought my son was pigeon toed, turned out his Tibia bones curve in due to the way he was carried in womb and he’s also flat footed!! He is seen by 2 specialists and wears custom shoe inserts and has regular x-rays to see if his bones are growing and correcting themselves. Sitting like this is one thing BOTH doctors told us children should NEVER do!! We say, “feet in front, please” to correct him and I find myself saying it to family members and friends kids because I never knew before we went to these doctors! Anna…we are so glad you found this helpful! Thank you for taking the time to comment. Keep reminding him and work on that core strengthening. It will get better!! Thanks for the info! I am a speech therapist and I knew W sitting was not a good thing but didn’t really know why. My three year oldn does it occasionally but I am always after him to fix it. Now if we could just get the thumb out of his mouth…. Thank you for the article! My daughter is just shy of 3 and I recently took her to an MD who said my daughter was fine and that usually people don’t even worry about that kind of thing until after 3 years old. Is that true? She is already very set in using the W position. She also runs sort of pigeon toed and seems to have some issues with balance. Her older brother (4) has PDD-NOS (Autism) and I knew much earlier than docs say you can know. If I can be getting my daughter help she needs now I want to. Thank you for the comment and kind words! In my experience, W-sitting is very habitual. So, if this is a sitting pattern that she is already using consistently, it will not go away without constant reminders and correction. “Sit with your legs in front” or “sit like a pretzel” are good cues to use. Without seeing her, I can’t determine why she chooses this pattern. It could very well be that she has low muscle tone (weakness) throughout the midsection of her body. It never hurts anyone to get a little bit of a core workout so you can try some exercises to strengthening that area and improve her stability. A suggestion might be to sit her on an unstable surface (the edge of your lap, a large ball, a stack of pillows, etc) and have her reach for items in all directions—just enough of a reach to challenge her stability and make her use her tummy muscles to get back to middle. Her running pattern at this age may not be resulting from the W-sitting. Typically, a child under the age of 3 still runs with a bit of in-toeing. Breaking the habit of W-sitting is the biggest challenge!!! Stay strong and be consistent!!! Good luck! Thank you!! I will start working on her core with your suggestions. I’m feeling grateful I learned about this while she was still so young. Interesting article! I’m curious though – my 10 month old already sits like this pretty frequently (he is doing so as I type this). Do you have any suggestions for how to help such a little person, who doesn’t understand what I’m asking them to do, sit better? Hi Melanie…thank you for taking the time to read this article and comment! W-sitting is a habitual sitting pattern. So, if your baby is already doing it, it is SO important to try to correct it as much as possible now. In your case, the best way to correct is to just change his sitting pattern. Move one leg out of the W position so he is side sitting (be sure to switch legs so that he is not always sitting to the same side) or lift his bottom and tuck his legs underneath so that he is sitting on his knees. More than likely, he feels stable in W-sitting so it is also important to work on his core stability so he begins to feel like he can maintain his balance without collapsing into this pattern. Sitting on the edge of your lap and reaching for objects with your support at his hips (or lower), bouncing gently on your lap and tilting side to side, or even playing with reaching while on his hands and knees are all ways to strengthen his core at this young age. I hope this helps a bit!! Good luck! Thanks for the quick response and again for this article! Thank you! We have a 4 year old who was pigeon toed, we had his hips X-rayed and everything is developing normally, but he was a w sitter. Our pediatrition told us to kindly remind him to straighten his feet or change his sitting position. They said it will take time, but since his muscles are developing well, we would go the gentlest route and just help h change his habits. With the sit change we have noticed a serious change in the way he walks. He is no longer tripping over his own toes, and runs easier now. He has a 10 month old baby sister who has been doing the w sit, and moving through the splits! The recommendations you gave are so helpful! Thank you! The comments to this post have been nice to read. It is so important to build muscle, and flexibility evenly, it’s encouraging to read so many have been able to do that. Thank you for this article! I am 28 and have just gone through major surgery on my legs due to sitting in the W position my whole life. I had to have my femur bone broke in both legs with a 40 degree rotation with titanium rods and screws placed from both knees all the way up to the hips but it is a miracle that my legs are finally straight! Also due to me sitting in this posistion for 28 years I developed severe in toeing which may need surgery as well. I am 8 weeks into my recovery and have had a horrible time dealing with the severe muscle tightness which is making it difficult to learn to walk again i feel it will be a long process. I realized i needed surgery when i couldnt chase after my 3 year old son, work a full time job because i was in pain or play sports. So i encourage all parents to correct your childs sitting before it get as severe as it did for me. Again thank you for bringing this to parents attention its very important to correct this at a young age! Heather…I am SO sorry that you have had to have corrective surgery. I can’t even imagine the pain during recovery and the discomfort from compensations that your entire body has made and will have to make to accommodate for those years of W-sitting. Thank you for taking the time to comment here so that others can read your story and understand that there are real implications! Good luck with the rest of your rehab! Thank you very much for the get well wishes! Yes besides the first month of surgery and healing pains, I am now dealing with muscle problems and the tightness is going all the way up my spine. I do alot of heat, stretching, and massaging with a tennis ball plus my physical therapy. But these muscle problems have made it very had and confusing on how to walk. I have a feeling it will take alot of work to get all if that stiffness out. I hope my comment will help alot of parents help their children break this habit! I think that your story will really drive the point home for a lot of people! I posted your words on our Facebook Page last night in hopes to reach more people. It is definitely a common issue. Thank you again for sharing. Sorry, but what a load of crap. I was a W-sitter until high school and I never had any of these problems. Not a single one. I even had to get inserts for my shoes because my arches are too high, causing my knees to fold in because my feet weren’t strong enough to support me. I have no problem with coordination, or hip problems. I also figured out a wide range of motion while in that position and could reach things criss-cross people couldn’t. This sounds like psuedo-studies to support “correcting” W-sitters because it looks awkward and uncomfortable to the observers. Hi Shellee…Thank you for your comment. I think that you are very fortunate to not have had issues with your body related to your W-sitting. From my experience as a therapist, this is typically not the case. I can also assure you that the negative effects of W-sitting are well documented in research through evidence based articles. I am 49 years old. MY WHOLE CHILDHOOD I WAS A W-SITTER AS WELL. NONE OF THESE PROBLEMS AS WELL. I THINK OUR SOCIETY IS TOO PARANOID ABOUT EVERYTHING AND NOW THIS. SERIOUSLY, THIS ARTICLE UPSETS ME FOR THIS REASON ALONE. I HAVE HAD ALMOST NONE OF THESE PROBLEMS AS A RESULT OF W-SITTING. AS KIDS OUR MUSCLES AND JOINTS ARE MUCH MORE PLIABLE AND ABLE TO MOVE IN THIS FASHION. KIDS SIT IN A MANNER THAT IS COMFORTABLE, LET THEM. THEY ARE CORRECTED ON SOOOO MANY OTHER THINGS FROM HOW TO SPEAK TO HOW TO WALK AND TALK AND EVEN BREATHE IS SEEMS. JUST LET THEM ‘SIT’ FOR CRYING OUT LOUD WITHOUT TRYING TO ‘FIX’ THIS TOO. I DO HAVE FLAT FEET BUT THEN AGAIN SO DOES EVERYONE IN MY FAMILY – THIS HAS NOTHING TO DO WITH W-SITTING SINCE MY NON-W-SITTING SIBLINGS ALSO HAVE FLAT FEET TOO. aND YOU KNOW WHAT? oRTHO ARCHES TAKE CARE OF THE FLAT-FOOTEDNESS, NO ISSUE THERE!! SERIOUSLY, IT’S AS IF FOLKS ARE LOOKING FOR THINGS TO CORRECT OR LABLE IN OUR KIDS. SPEAKING WORDS OF WISDOM ‘LET IT BE’. HEHE, NOT SURE WHY I AM ALL CAPS (HONESTLY NOT TRYING TO YELL HERE). ABOVE WAS CALMLY STATED. bUT STILL LEAVE THE W-SITTERS ALONE IS ALL! My 3 1/2 yr old couldn’t sit as a baby, when he would be standing and fall he would fall flat back on his head, he toe walked behind walkers, he had a therapist, and leg braces for a month which made w style worse! He still sits w style, but can now sit other ways 2 but prefers w style… He has high tone n legs, and now he’s been complaining of knee problems! Can w style sitting cause knee/shin pain and mess his legs completely up?? He’s going 2 his dr 2m for such pain… But was wondering! Hi there…I’m so confused about this issue. I’m a pediatric occupational therapist (35 years) and was taught that w sitting is bad for hip stability and balance of muscle groups. However, my granddaughter’s orthopedist said it’s really okay. Maybe it’s okay for some, but not others. I suppose if the child is active and gets regular physical activity and challenge, it may be okay. At 19 years old I have torn labrums in both of my hips and a physical therapist told me that it could be due to W sitting when I was younger. Definitely don’t let any child sit like that! Not worth the surgery. Hi Jen…WOW! You are so young to have had to go through bilateral labrum surgeries!! I hope that you are feeling much better now! I just had a neighbor go through the same thing (one surgery in October and one in January). His ortho also contributed this to prolonged W-sitting changing the dynamics of his hip joint. I hope that you will have no further complications!!!! This is a really interesting article. My son always used to sit like that and her was very delayed in a number of gross motor skills. It was the physio who spotted it and asked us to get him out of the habit. She thought he was hyper mobile, but we don’t think that is the case. It is useful to link how sitting like that relates to his development. Makes a lot of sense. Hi Nicola…thank you for taking the time to read through our article and to comment! We are glad you found it helpful!! I have to say that I used to sit in this position as a child as did my daughter and two sons (the youngest if whom is 17) and none of us has ever suffered from any of the conditions you have mentioned. None of us have ever had issues with core balance. My daughter is now 24 and is a qualified fitness instructor. Hi Dawn, thank you for your comment. You and your daughters are very fortunate to not have been affected negatively by this sitting position. Not everyone is affected; however, many people are as several people have commented below. We are only hoping to inform about our experiences with patients and our knowledge as therapists about the physiological changes that can occur from using this position. I was born with congenital hip dysplasia and was in a body cast then a splint until almost 2. My right hip did not have full rotation because of the angle and the leg was also 3/4 of an inch shorter. I could not sit pretzel style because my right leg would stick straight up. I sat in the w style on the floor. I could go down or up from that position just like others do in the pretzel. I could reach anywhere. The only problem I had was as a young adult my knee caps were being pulled to the outside because my outer thigh muscles were stronger than my inner thigh muscles. I had to do exercises to strengthen the inner muscles. I took English riding lessons which really worked well and have not had any knee problems since. My whole family used to sit like this (I am 61 yrs. young) and I have a brother with Marfan’s. My 4 yr. old granddaughter has some problem with her hip/lower back. Her hip on right side is so tight she never crawled properly, runs funny by throwing the leg out to the side and since a young age appears to suffer from pain and fatigue. She also will sit W if you don’t correct her. She has been through multiple blood tests, bone scans and MRI (2 times) with no result. PT in the past year has helped strengthen her core and attempts to loosen her hip but isn’t completely successful. I so wish someone could diagnose her properly. Doctors say maybe when she is older she can explain what hurts/how it feels. So frustrating. Thank you for taking the time to comment here Linda! People with Marfan’s are notorius for their hypermobile (flexible) joints! I am so sorry to hear about your grandaughter. I can understand your frustration but it sounds as if she is being followed by some medical professionals that are being very proactive in trying to determine what’s going on. We wish her the best of luck! Thanks for the comment Kate! It’s amazing to me that you can wrap your feet around your head despite being a w-sitter…completely opposite range of motion in your hips. You must have very mobile joints throughout your body! I wish I had half as much! I’m 45 and still sit in a W half the time, even though I have tried to curb it a little as an adult since so many people told me it was bad for me. I’m actually quite flexible and don’t have any associated pain in my back, legs or hips from it. For the record, I also did manage to learn how to kick, throw, write my name and otherwise become a moderately functional member of society without the need for any corrective surgery or bone breakage despite my dangerous sitting position of choice (and my arches are actually a little high). I would have to saw ditto to almost all of Magic and Mayhem’s comment. I crack my knuckles, and chew my lips/cheeks, I have high arches and learned early to kick throw and write just fine. BUT I still sit in a half W, my left leg being the one that goes backwards. I’m only 32 but the problem is that ever since I heard this was bad for my kids I have noticed that this habit of mine has caused me hip, back and neck problems that give me headaches/migraines. I’m looking for help in what to do with an adult that has sat in the half W position all her young life…(PS my mom has the same habit and spine problems but the Right leg). Can you help us with any information beyond the links you gave for core strengthening? Thanks in advance! Hi Nicole…are you sure that you and Magic and Mayhem aren’t sisters??!!?? :) While I can’t really offer up advice on your very specific issues online, I can suggest that you visit a physical therapist to address the tightness that is probably occurring in the musculature of your legs and pelvis from always being in the same, unbalanced sitting position. While you feel that you may be flexible for being able to get into this position, most likely, the opposite muscles (the inside of your leg/hip) are very tight and weak. If you attempt to sit in a ergonomically correct sitting position (feet, knees and hips at 90 degrees), you will be able to feel the stress on your body at the “weak” points (meaning those areas that are tight or weak from years of sitting in the “wrong” position). I tend to sit with my right leg rotated in (like a pretzel) when I am sitting in a chair for long periods of time. As a result, when I try to sit correctly, my right hip feels very tight, my trunk tends to slouch to the right to compensate and it is extremely hard (and uncomfortable) for me to keep my feet flat on the ground. Strengthening and stretching should really help!! Thanks for writing this! I sure wish my mom had read it when I was a kid. I sat like this for thirty years until the day I was walking downhill and my knee cap shifted to the right and I hit the floor! My ortho tells me that sitting like this was a major reason for my knee doing this! I know periodically have shifting kneecap which triggers Hoffa syndrome in my knee as well. (I know, funny name for a knee condition) We quickly corrected my kids as soon as we discovered that this May have triggered my knee issues. My granddaughter used to W sit since she was very little. She started having problems because of doing this. She is now 12 years old. She is very pigeon toed. She has seen specialist who told us she has — Femoral Anteversion caused by W sitting. One of her hips turns in real bad and it can’t be repaired. She likes to do cheerleading and soccer. But this condition is what has caused her knee to start giving her problems ( because the hip turns in so bad) so she has went through physical therapy and wore a brace during P.E. And soccer. Any chance I get I tell parents about W sitting and how it affected my granddaughter. My granddaughter’s knee cap became loose and she could be walking, playing soccer, or any activity and it would lock up. When it would lock up she would be in excruciating pain, couldn’t walk and it would last awhile. I believe there needs to be more education on this and what it causes. Hi my now 6 yr old daughter had hip dysplasia as a baby, treated with hip splint for 5 months. Now has very limited movement in her right hip. Has had chiropractic treatment. Seen orthopaedic surgeon and she has an extremely tight adductor tendon in her groin. He feels she needs a release of this tendon. Seen physio since and she feels it is more the muscle going down front of thigh. She did w-sit as a toddler, not severely, still does occasionally now. She has limited range of splaying her legs at gymnastics and also doing splits. Just wondering your opinion on this and if you have come across this before as her orthopod says he hasn’t in 22 yrs of orthopaedics other than kids with cerebral palsy ( not her). Hi Wendy…I am so sorry that your baby girl (and you) are dealing with this! I really can’t offer much of an opinion on this having not seen her myself; however, the conflicting concerns of ortho and physio are interesting! In my own practice, I have not seen this type of complication from hip dysplasia. Best wishes for a positive outcome and I hope that physical therapy helps so that you can possibly avoid a surgery to release that tendon!! I had no idea of any of this. My daughter is now 7 and has sat like this all this time. Hi Susan…thank you for your comment! Difficulty climbing out of the pool could certainly be related to the w-siting in a few different ways. She could be w-sitting because of core weakness and a weak core would make it very difficult to climb out of a pool. She could also be experiencing tightness throughout her hips related to that prolonged w-sitting that may be making it hard for her to get enough range of motion to climb out on a straight wall. Core strengthening and stretching as well as encouraging a different pattern for floor sitting would most likely help! If you have the opportunity, visit a physical therapist in your area for a full evaluation or express your concerns to your pediatrician. How about a baby (11month old), should I correct it physically every time she sits that way? She does it a lot. Hi Sandie…At 11 months old, your baby is probably beginning to explore transitions into and out of a lot of movement patterns. So, hopefully, she isn’t staying in the w-sitting position for very long. However, it could quickly become a habit to sit this way. Babies of this age generally prefer to “sit” on their knees. I would gently encourage her legs together so that she can’t sit her bottom all the way down between them (into w-sitting position) or encourage her up into a tall kneel which will also help with core strengthening. Place her toys up on a low table or a few stacked couch cushions. Hope this helps! this may be true for normal kids but for kids who are hypermobile, it isn’t. sitting indian style (cross legged) or w-style has nothing to do with the upper body movement ability, agility, or strength. it is just more comfortable for them. I have been sitting this way for 53 years and my dad did up until his death at 64. we have hypermobility syndrome, so we all tend to bend in different, seemingly odd positions for comfort and not do any lasting damage. I want to remember this blog! Good info. Thank you for visiting Kristy!! Great reminder for parents. I noticed that wih my 14 month baby girl. She has just started to sit in that position for about 1 week. I was thinking that it is part of her growing process. She even jumps on her knees in w position. Then i should observe and change her habit from now on. Hi Irem….Oh my!! Jumping? I have seen kiddos do this and it makes me cringe (I think I would break if I tried it!! :) ). Keep an eye on her and just make sure that she transitions through other positions as well and doesn’t choose to “hang-out” in the W-sitting position too long! Thanks for sharing your story!! Helicopter parenting at its finest. I grew up with dozens of W’s and they all survived, and lead active lifestyles now. So I am going to call BS on the piece. Hi Mike, Thanks for your opinion and I am glad your “W’s” experience no repercussions from choosing this sitting position! At what age is this a problem/ something to start correcting? My baby is almost 1 and has recently started sitting like this. My older 2 never did. Do I correct it now, or wait a little bit to see if she will correct it on her own? Hi Jamie…This isn’t something to be alarmed with until it becomes habitual. Many babies choose w-sitting initially — they are very flexible! However, typically, babies around the age of 1 just pass through that position to get to another. They don’t stay still very long (as I am sure you know!!). I would wait and just observe her and make sure she doesn’t start choosing this position as her primary base for play. I hope that helps!! After reading this article, it reminded me of something my teacher told us children in class. I was in kindy (5 years old) and the teacher made a point of telling us how bad w sitting is for our legs and hips. He then demonstrated other ways we could sit properly. I was always sitting in the w position until we were told not to by the teacher. I haven’t sat in this position since, and I’ve made sure that neither of my children have, and being a qualified child are worker I am always correcting the children in my class. To this day (I’m now 23) I will always be thankful to that teacher. 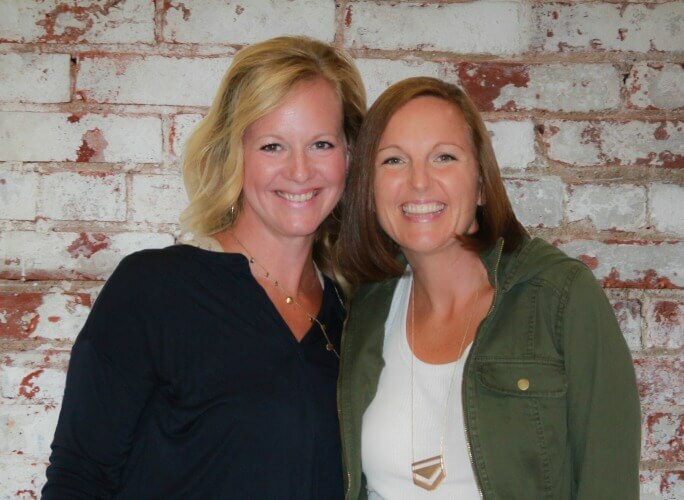 Jami…thank you for taking the time to share your story. Kudos to that teacher for being proactive and changing up the sitting positions of the children in your class and to you for carrying on with the message. I also love that he demonstrated other ways to sit! We will have a follow-up post to this one in the next few weeks and we will have a video to help with those alternative sitting positions. Thanks again! My youngest son was just diagnosed with Blounts Disease. Its when the top part of the knee doesn’t develop correctly. His orthopedic surgeon said his W sitting probably attributed, but didn’t cause, the development. He will be three in September and will be scheduled for surgery after that. Hi Robbie…thank you for your comment. I am sorry to hear about your son. I have seen one case of Blount’s Disease in my practice and the issue resolved well! Best wishes to you and your son as you head into surgery. Thank you! I personally just think it all depends on the child. My older 2 children sat the same way and they had no issues. Same thing with them when it comes to their dental health. My boys haven’t had any problems with their teeth, but my daughter had to have oral surgery when she was almost 3 (she’s almost 7 now). The dentist said sometimes a child just gets the short end of the stick. I do try to correct whenever I see my kids sitting in the w position though. I constantly sat like this when I was a kid. Family members always thought it strange that I could get into that position. I’ve never had any problems of any kind at all. 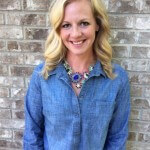 Heather….thank you for taking the time to comment and share your story. Adults often observe the W-sitting position as “odd” because, unless you are an adult that did it as a child or you have extremely flexible hips, it is next to impossible to get into that position without pain….trust me, I have tried!! I am so glad that you didn’t experience any of the issues that we spoke about in the article! Take care! I wonder what it means if you weren’t able to w-sit? I learned not to, because every time I did w-sit, my knees would lock. It was very painful & I would have to yell until someone came & picked me up & set me on my feet. It was also very embarrassing. I don’t seem to have any problems now. Weird. Hi Su…OUCH! That sounds so painful and frustrating!! I am not sure what it means specifically without having seen you in person but I am so glad that you haven’t had any further issues as an adult! Thank you for taking the time to comment! I sat like this as a child and the bones below my knees actually formed crooked. The pediatric orthopedic doctor said they may straighten out at adolescence, or we could have had them broken and reset. My parents went for the first option, which didn’t really happen, so I now have crooked legs, with one being more pronounced than the other. I am regularly telling my 2-year old to fix her legs when I catch her sitting in the W position. Her pediatric orthopedic doctor knew exactly what caused my crooked legs and said it is really important to keep her from sitting that way. I don’t think I would have been aware of this problem had it not happened to me, so it’s good to make more people aware of it. I didn’t know about the other problems it can cause. Hi Tamra…thank you so much for taking the time to comment and share your story. I am sorry for what you are going through but am so glad that you are being proactive with your daughter. Take care! I worked in daycare centres for years and we always corrected kids sitting this way. But what I remember was one of the parents, who was a doctor, told me that there is a major vein/artery that travels down your leg on the inside of your knee, and w-sitting puts too much pressure on the vein and can cut off circulation and proper blood flow to your feet. Never thought of the core issues. Hi Ladyhawk…thank you for your comment and for the information! I have to call bull on this. I was a continuous ‘w’ sitter and have no ill effects. I am silly tall and played basketball. Infact as an adult I met my birth mother and sat on the floor in that position and she told me she sat the same way for a long time. No ill effects for her either. Kids instinctually sit in a way that is comfortable for their skeletal and muscular structure. Let them be. Hi Nancy…thank you for reading the article and taking the time to comment. You, as well as many others, have experienced no issues that you attribute to your w-sitting habits as a child and that is fantastic! This is actually the first time I’ve heard anyone mention this. I used to sit like that as a kid, and I was the only kid I knew who did it. Nobody ever corrected me, and I never had any problems with those things you mentioned that I’m aware of. I would have never thought of it as a problem. I’m not sure I would bother correcting my daughter for doing it still. I’m sure if you sit that way for hours on end it might be a problem, but here and there, it just seems harmless. Kori…you are completely correct in saying that if the w-sitting position is used “here and there” it isn’t as big of an issue. Many children pass through this position as they play. It is the prolonged w-sitting that may be an indicator of something more significant or may be a cause of future developmental concerns that is the point we were trying to make. Thank you for reading! At what she are you expecting a child to have these issues of a W sitter? My 20 month old sits like this. He had no problems kicking, throwing, drawing, he climbs a lot and send to have good balance, he doesn’t seem to be pidgon toed either. Sorry was meant to say at what age. Hi Nicole…if your son seems to be developing normally, you should have no concern. I would still urge you to teach him alternative sitting patterns if he is a habitual w-sitter. Thanks for the question and for reading! Thanks for the article! I didn’t know. My girls sit like this. Not really for a long time. They are three and almost two and can’t sit still for a long time. My youngest is very flexible and sits like this often. I’m going to try to change it! Marietje…it sounds like your girls moved in and out of the w-sitting position as they transitioned during play which is fairly common! If your youngest is doing the same, no need to try to change it. However, if it becomes the preferred way to sit, try to encourage alternatives like long sitting, side sitting or pretzel sitting. My child was a side sitter and his physical therapist told me that W was the way he would have strengthened his left side. He was left side weakness, flat foot, and coordination issues…at six years old because he DIDN’T sit in a W. Now I’m confused. Hi Janet…I am unsure of what you meant in your comment above and without seeing him, I cant offer specific advice; however, I would think there would be many other ways to address the left sided issues you mention without W-sitting. i believe its become such an issue due to the use of baby walkers, jolly jumpers etc, anything thats encouraged babies to develop to the next milestone “faster”. Hi Stephanie…thank you for your comment and your thoughts. Interesting point!! My 4yo son is a W sitter and always has been as it’s the only position he is balanced in! I constantly encourage him to put his legs forward (as advised by his Paediatric Consultant and Physiotherapist) but he continues to gravitate to this position. He has Hypermobility Joint Syndrome, which has caused some delayed gross and fine motor skills and physical development. He’s had Physiotherapy, Hydrotherapy and analgesic treatment to date and continues to see both the Paediatric Consultant and Physiotherapist regularly. I know there is no cure in the Natural World for this condition BUT my son is prayed for regularly for FULL healing of ALL his health conditions and I am looking forward to the day when this is complete! . Hi Linda…There are definitely very specific diagnoses that would point to w-sitting being easier, more comfortable, and more stable than children who weren’t afflicted with these conditions. Your son’s Hypermobile Joint Syndrome would be one of those conditions. I am sure that his physiotherapists and doctors are keeping a close watch on his condition and are helping him to get stronger every day! Thank you for sharing his story with us! Thank you for reminding me of this now that I’m a mama! When I was a child, my parents corrected my brother and I because one of us was starting to walk pigeon-toed from sitting in this position. I’d forgotten about this. You’re welcome Angela and thank you for reading! I think this is a really irresponsible stance to take and worry parents unnecessarily. I just had my daughter to an Orthopedic specialist because ever since she started walking she has walked with his toes pointing in (she is now 4). The dr said she has something called anteversion and that is what causes her to walk with her toes pointed in. She also said that “w” sitting is probably the most comfortable way for her to sit due to the way her hip is put together. Forcing her to sit cross legged would actually be painful to her. The turning of her feet should correct herself by the time she is 7 or 8 years old and even if it doesn’t, it is not something I am concerned about. She is a happy healthy beautiful little girl and according to the dr this is not something that will hinder her in any way in life. She can still walk, run, skip, kick and play any and all sports that she would like. Hi Kim…our intention with this article is not to worry parents unnecessarily but instead to provide them with information about what we have seen in our years of clinical practice so that they can make an informed decision about what they are seeing with their child. Your daughter’s anteversion, which I am assuming is femoral, would certainly make sitting much more comfortable in the w-sitting position and would make pretzel sitting completely uncomfortable because the twist in the thigh bone allows the hips to rotate ‘in’ more than they rotate ‘out’. Your child definitely has a medical reason to prefer to w-sit and if this position is comfortable for her, you are right to allow her to continue it. Kudos to you for being proactive with your child’s health and seeking out the medical advice necessary to determine the cause of her in-toeing and w-sitting. I am also a pediatric physical therapist and am always correcting kids and their parents on this position… I was curious on your thought process of how w- sitting changes not only the musculature of the lower leg but also the boney alignment. As this person states their child has femoral anteversion, but couldn’t the w- sitting early on have caused this in the first place? I always think of Wolff’s Law and how it would pertain to this topic-bone is laid down where its stresses are felt…so if a child is constantly sitting with the stresses of bone in this anteversion position won’t the bone then lay down more material in that position leading to permanent anteversion and in-toeing? What are your thoughts on this mindset? … Thanks! I was a w-sitter till late in primary school. I’m now 43 yr old. Still struggling with core stability, lower back ache, muscle spasms, poor strengh in my legs. Sometimes severe SI joint pains. I was amaized to when I read the article. Thanks for your work and research. Hi Alicia…I agree with you COMPLETELY that a child that constantly (and that is the keyword) utilizes the w-sitting position will change their boney alignment. W-sitting places the hip bones (and muscles) in such an abnormal, forced position and I strongly feel that the stress in the anteverision position will change the boney structure of the hip socket — as well as the rotation of the femur and tibia — causing significant orthopedic concerns or, at the very least, discomfort as a child ages into adulthood. In fact, I am currently seeing a child in 3rd grade whose in-toeing is so significant on the left side, she trips constantly. When I talked to mom, I learned that she preferred the w-sitting pattern as a child. Mom, who has mild CP, knew the implications of w-sitting and constantly corrected her. However, when corrected, she then chose to sit in a right side-sit leaving her left leg in that compromised rotational pattern. I have referred her to orthopedics to determine if the tibia has grown into this rotational pattern — I do not think it is just muscular at this point. I hope that gives you an idea of my thoughts! Thank you so much for your comment! My daughter was a W-sitter. She is 21 now. When she was a toddler I asked her doctor about it and was told that she was just more flexible than other people. Another doctor said pretty much the same thing when she was in lower elementary. Her kindergarten teacher was very angry that she sat that way, and embarrassed her in front of the class about it. She never had any developmental problems of any kind. However, when she was in middle school, she began to run for the track and cross country teams. She continued for five years, through high school. Throughout that time, she had multiple fractures in both legs, toe cramping, leg cramping, and severe pain. She ended up having to go to physical therapy for six months, which was extremely painful. We saw five orthopedic doctors. Everyone one of them had a different opinion! One wanted to do the surgery that your reader mentioned above: he wanted to cut her leg bones in half, which would involve being in a wheelchair for a year. I was just appalled! His other option was cutting all of her leg muscles. There was absolutely no way I was going to let anyone do that to my daughter. The doctors all told her to quit running track, and start bicycling or swimming, which wouldn’t put so much stress on her leg bones. They did a “gait study”, which involved photographing her as she was running, with electrodes attached. They studied how her skeleton behaved. They ended up concluding that her leg bones were slightly twisted in her hip sockets. They said it was a genetic thing–not from the W sitting. They said it would not have been helped by wearing braces on her legs as a child, and that normally it was harmless. However, she chose the ONE sport she should not be doing–running. At the time, she was totally in love with it, and even agonizing pain couldn’t stop her. She actually won many ribbons, even though her gait was noticeably different than everyone else’s. She had some wonderful, supportive coaches, who helped her do special exercises to compensate for her twisted knees. They taught her how to run smoothly, and they had her work out on an elliptical bike, which was less like to cause fractures than the heavier exercises that the other kids did. Eventually she did quit. Her physical therapist fitted her with foot supports, but she finds them difficult to wear with all shoe styles. Now she bicycles a lot, and does nothing to aggravate her legs and feet, but even standing for long periods of time can cause her a great deal of pain and foot cramping. Hi Beth…your daughter was very lucky to have the supportive parents, coaches and doctors that she did to determine what was happening with her body! Thank you for sharing her story. I am happy to accept that there is an association between hip/leg/foot/core problems and W sitting… but what I don’t think the direction of causation has been established at all. It seems just as likely that the habitual W sitting is a symptom of the other problems, rather than a cause, so correcting the W sitting may not address an underlying structural problem that is causing the child to choose that position in the first place. I can certainly see that for thos kids with an underlying problem, discouraging this position could stop it being exacerbated, but I’m not convinced that the position CAUSES the problems. Glad that my comment was useful! Its a good thing if parents become more aware of this sititng style as a possible sign of something being amiss, and have their child checked out by a physio or similar. Hi! My son sat like this until about age 3 when his speech therapist suggested we get him to stop, which fortunately was easy. I have no opinion on whether or not it was or wasn’t a bad sitting position for him. However, having read the comments of others, I like to point out that “I did X and nothing ever happened” is NOT a good reason to throw out current methodologies. It’s similar to buckling a seatbelt or wearing a helmet. Maybe you never crashed. Good for you. But there have been many who have lost their lives or that of their loved ones from such dangerous practices that now it’s pretty much common to exercise caution in those events. Maybe W sitting doesn’t harm all that do so, but there are enough people whose lives have been made difficult from W sitting so if merely finding a different position to sit is a way to help avoid that for my kids? I’m going with it. I sat like this through my childhood and now, as an adult, my knees point inward. It is frustrating for me when I wear a dress and can see that it’s not quite right, but more significantly, it impacts my walking. I’ve never been well coordinated to walk straight and while my gait isn’t overly noticeable, there’s a degree of “pigeon-toed” effect because of how my knees and thus feet are oriented. While my gait isn’t distinctive, it is well known amongst my friends that I struggle to walk “straight” and often zig zag along the way. Add to that occasional pain from the awkward angle pressure on my knees and hips, for which I’ve had physical therapy (hip sockets tilted from W sitting), and I strongly agree with your recommendation here. I’ve endured the consequences personally, and will continue to for my life, and will be watching to prevent my children from it. Hi Tabitha…thank you for taking the time to comment and share your story. I am so sorry that you deal with pain and the orthopedic consequences of w-sitting. Keep an eye on those kiddos! Interesting information and I would discourage W sitting myself. That said, my mother, now 101 years of age, sat like that into her 70’s and I never saw any of the attendant problems described here. But then, my mother is unique in every way! My daughter, 3.5yrs, is extremely hyper mobile and always sits in this position when she plays, she doesn’t seem bothered by it but reading your article definitely is unable to kick a ball yet, has floppy feet when she kicks. She is a good thrower and catches and has a right hand preference although hasn’t quite mastered the proper pencil grip yet. Hi Marja…hypermobile joints definitely make it “easier” for a child to plop into the w-sitting position but having hypermobile joints doesn’t make w-sitting okay. Definitely encourage other sitting positions so that she has the opportunity to strengthen her body in a variety of different ways. Hypermobile joints need lots of proprioceptive input and strengthening of the surrounding muscles to keep them in proper alignment. Hope that helps!! Hi Sarah…I am sorry that your son is struggling with side effects from w-sitting. I would definitely pursue a physical therapy consult in your area and have him evaluated to determine what the underlying cause of the w-sitting might be and to address the resultant symptoms. Most likely, he will need a specific strengthening/stretching program. I’m sorry that I can’t offer your more specific ideas because I can’t personally evaluate what is going on with him. Hi D….thank you for your comment and I am sorry that you are dealing with agonizing pain! Hi All…we wanted to make sure that you saw the follow-up post to this article in which we address some of your common comments and concerns. We hope you find it just as informative!! Thank you all for your discussion! I’m 43yr and was a W-sitter till high school. I was born premature, but a fighter and love W-sitting. I was a long distance runner with no problems as child. As a professional Nursing sister for 24 yrs, I always contribute my lower back, coxics, hip an knee pains to the years of nursing. I currently struggle to get up from sitting on my heales. I have to pull myself up with my arms. I struggle to push myself up to a standing position. I struggle with Right and left SI joint, and hip pains. I’m on my maximum BMI due to cortisone injections. Please continue with yours studdies regarding W-sitting from children going into adulthood. I never mentioned this to my neuro surgeon that, can’t find the sourse of my pain. I can’t sit or stand for long time. Thanks for not giving up on the children. Oh Retha…I am so sorry that you are going through the pain that you are experiencing. It sounds as if you may have definitely experienced some of the ill effects of prolonged w-sitting. I am hoping that you find some source of relief for your pain in the near future. Thank you for taking the time to comment. it there anything you can do as an adult to lessen the damage? I am an occupational therapist. I worked with a boy who would w-sit. I would cue him to work prone on elbows or sit criss-cross. One time he asked why and I briefly explained w-sitting. He looked at his legs and said “It’s an M”. Perspective has an interesting view. My 3 year old son has the problem now. The main symptom is splaying out his feet to the side when he runs. Knee and hip damage is obvious however, I seriously doubt any link to this and flat feet!!! I “w” sat a lot as a child and I was an above-average athlete. Not saying it isn’t true, but how scientific are your studies and results? You could be worrying about nothing. May actually increase flexibility according to some schools of thought. I was very pidgeon toed as a child. I had special Buster Brown shoes that did nothing for it. My mother took me to see an orthopedic specialist in the 70’s. They recommended surgery and a body cast from the waist down for a year. She ran the other way. In ballet class I could never turn out my feet in first position and sitting pretzel style was painful so I sat W. When my daughter was born her amazing pediatrician walked into the exam room, saw her sitting W style, checked her out and told us she had Femoral Anteversion. Turning in of the thigh bones in the hip socket. I told him about my issues, same as my daughters. He said I had it too. I never knew what I had, had a name.Trying to turn my feet and hips out is very painful. So sitting W style for some children is a necessity, changing it will not solve every ones problems if this is truly the only comfortable way they can sit and should not be shamed for it. I used to be told to change sitting and didnt understand. All I knew that pretzel sitting hurt. Not everyone can actually do it for legitimate reasons. Hi Sandy….you are so correct in saying that this is the most comfortable way for some children to sit! It is very important to get to the underlying cause of why a child may be choosing this pattern. It may be orthopedic as was the case for you and your daughter. Thank you for sharing your story! I am a pediatric physical therapist and I must respectfully disagree with you on “W” sitting. While it can be problematic for those who have underlying orthopedic issues, there is no evidence that is it harmful for the average child. I agree that the underlying cause needs to be evaluated to see if it is idiopathic or due to low tone, a weak core, etc. so that those issues can be addressed. but for most children, it is not harmful according to current research. in the study cited, multiple factors were found to contribute to flat-feet. “w” sitting was just one of the factors and it is impossible to state unequivocally that “W” sitting actually causes flat feet. I’m 65 and sit in the (W) On the floor all the time I’m neither flat footed or have any of the problems you described. Sitting crossed legged is uncomfortable and limits my movements. In a crowed get togather with my friends I’m the only one that can sit on the floor durning a meeting without having to have help getting up. I’m strong legged and have very little pain. so I disagree. I don’t agree with this. I was a ‘W” sitter my whole life and I am turning 38. I had no posture problems, no developmental problems, I swam, danced, played tennis,soccer, climbed trees and had a hoot while doing it. I was fully able to rotate my core and play around me etc. I think too much is being seen into non-existent issues like the way we sit. I sat that way because it was comfortable, I sat on chairs with a straight back with a book on my head as taught by my gran because I could. I don’t have a degree but as an adult “w”-sitter I say this is utter nonsense. I always sat like this as a child, people did think I was weird but I was diagnosed with high grade hyper mobility syndrome as an adult which explains why I was able to get into this position so easily. I do get a lot of pelvic/hip and back pain but this is because my pelvis rotates out of position and I need a chiropractor to sort it out, whether I would without the HMS I don’t know. I have been told that my core strength is not very good. I don’t know why people have to be rude if they don’t agree, every one is different but if it helps anyone Surely that is good! Thanks for your comment Cat! High grade hyper mobility syndrome would definitely make w-siting easy and probably very comfortable for you as a child. I am so sorry that you are dealing with the joint movements that are causing you pain and discomfort now. Work on that core girl!! It can do nothing but help! I think “”w” sitting for me was a balance issue that we didn’t find out about until I was 36 years old. I was very clumsy as a child and young adult. I fell so many times on one knee that I had a blood clot at age 8. At 15, I rode my bike @ a mile one day and couldn’t walk for 2 days. I fall going up stairs not down. At 36 years of age I found out that I have bilateral pars defect of the spine. I couldn’t lift my legs to go up steps and was having severe pain. At 49, I’ve learned that there are things I should not do because of my anomaly. I think we all have to remember that when a child has a continuous balance issue, seek a medical diagnosis. Thank you for posting this! I’ve always been concerned when I see kids sit like this – but never knew why. It does seem to be more common amongst kids with some of the existing issues like you mentioned. Happily, my preemie 4yo (with a paternal history of ADD and dyslexia ) isn’t exhibiting this. She does, however, have some minor “crossing the midline” concerns that I notice: handling of eating utensils and making mostly straight up and down lines when she is writing. Wondering if you can point me to some activities to help encourage more right/left engagement. I have been a Pediatric Nurse for 30 years. Absolutely! A fantastic article, very informative. I have a great niece Madisyn who sits “W” all the time and I would encourage her to change her position. She presented with frequent falling, tripping and other balance issues. Her Mommy was concerned and took Madisyn to the Pediatrician. The Pediatrician reported that Madisyn was just fine and just a little bit clumsy. WELL, great-Auntie did not agree. I persevered to the dismay of my family. Fortunately, I often work with the Pediatrician and spoke to him about “W” sitting. He agreed with a little hesitation however was on board for us to try some encouragement with proper sitting at home. I asked for a few weeks of proper encouragement with sitting and if there was no improvement for Madsyin to be seen by Physical Therapist that I work with. Madisyn has had less tripping and falling. Just to be safe she is going to be seen by Experts. .Pediatric PT. I sent this article to my whole family . Sitting here with hubby reading this article and we have both looked at each other. Our 2 year old is obsessed with sitting like this. She takes it one step further however and non-stop will bounce up and down while sitting in this position. She will happily bounce away for an hour if she could.She will even do it on hard floor if we let her. A couple of months ago we started stopping her every time she would start but even now we are telling her to stop multiple times a day. She does take after me in having flat feet, (siblings don’t). Her siblings have never sat in this position either. Quite perplexing! I had hip problems as a child and spent time in casts, braces and traction. I always sat like this as a child. I was both pidgeoned toed and flat footed. Please remember some children suffer from orthopedic and/or connective tissue disorders as Marfan Syndrome. My daughter, a Marfan sufferer Sat this way as a child. We knew it was bad so we constantly trained her to sit with legs out. If you watch for the W sitting, become aware of the signs of Marfan to alert the parents as this is a deadly syndrome/disease. I used to sit like this as a child (now 37) and I have no problems that were mentioned above. I’ve been told I’m hypermobile so maybe that’s got something to do with it?? I feel that if that’s the way they are comfortable then let them be but that’s just my opinion. I know it is not a religious topic and has nothing to do with religion yet I feel it may be useful to mention an interesting fact which is older than a one thousand years ago . I read that Moslems are forbidden to sit in this W position in their prayers when they sit to finish it. Prophet Mohamed prohibited them from sitting so. I am 65 and have been W sitting throughout my life. I am healthy with no issues with my legs, knees, balance or anything. My BP is 118/65. I am in the normal weight range for my height. I have always been comfortable W sitting. I have a good base and I am comfortable. My daughter W sat for a long time. She has serious problems with her and She can not wear any shoes with a heel,worn can barely run, she definitely has the developmental issues also causing her to not be able to complete what we would assume to be simple tasks. Such as eating a sandwich correctly or using a fork. We keep her from sitting this way and have even spent loads on PT but nothing is helping. She is a 8 now and falls a lot has had numerous bumps and bruises all the time and wears her shoes funny the left one is usually worn like she has had it for 6 years! I can’t comment on the quality of research because I haven’t seen it, but I can say that I have seen children who w sit maintain upright posture, and I’ve never seen a child sitting criss-cross (I’m assuming what you would call pretzel sitting) able to maintain upright posture. Kids who sit criss-cross always seem to hunch over. 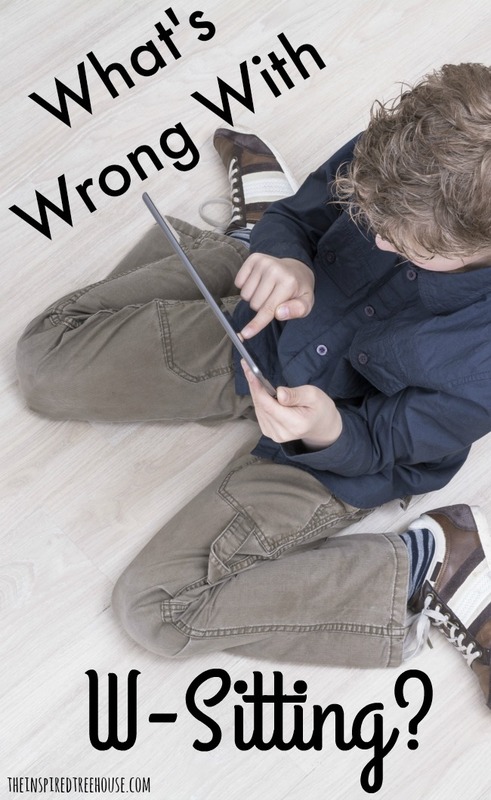 As a teacher, you are trained to tell kids to sit criss-cross, but it’s a terribly uncomfortable position to be in, and is not at all mobile – a terrible position to play in. Personally, I think the problem might not be how children sit, but rather the fact that they are sitting at all for any length of time. Children should be moving, not sitting, more often than anything else. I have no idea how I typically sat as a child, but when I think of children “at play” what comes to mind is running, jumping, climbing, rolling – not sitting with toys. As an adult I don’t find any sitting position comfortable for any length of time, even for writing – I prefer to lay down and stretch out, not for lack of mobility or flexibility, but because it allows for more movement. W sitting may very well be very bad, but I think sitting itself might be at least part of the problem. Thanks for your comment M. You are 100% correct that movement is definitely preferred over sitting for prolonged periods and kudos to you as a teacher for recognizing this! I’m 42. A w sitter. I don’t wear heels. Flat feet run in my family but I’m the only w sitter. My mom was a nurse and never had a problem with it. I still sit that way. Had hip issues since birth. I have 7 children and only my 4 girls w sit. None of my boys do. None of my girls have flat feet or any issues. All my boys have flat feet. My oldest boy has back issues but perfect posture?? My 8-month old is getting ready to crawl and often sits with one leg forward and one leg back, especially as she attempts to get into crawling position. Is this a problem? As I read this I have to chuckle. My son who is now 31 years old used to W sit all the time (still does to this day). His occupational therapist he had as a toddler, (he was a premature baby) was always correcting his choice of sitting positions and encouraged us to do the same at home. We did whenever caught him, but with much argument. Today as a grown man, he has fantastic balance, can climb just about anything he has a mind too, Is an avid hunter and is as sure footed in the wild as any wild animal is. He is a single parent and a full time student majoring in education. So I guess not every child that chooses to W sit has negative repercussions because of it. Kudos to you for your patience with these angry parents with their anecdotal excuses. Have to wonder why people get so touchy about something so minor. Okay, so I don’t usually comment on things, but felt compelled to do so on this one. 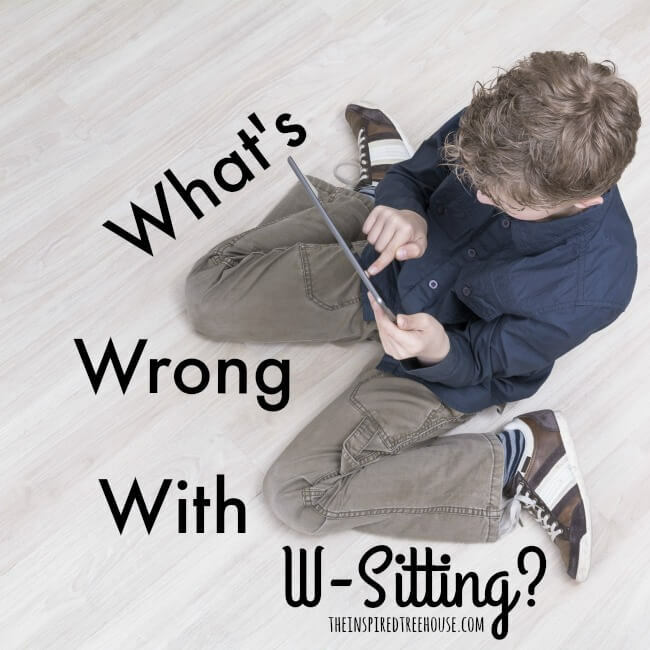 As a pediatric physical therapist with over 35 years working in early intervention, and as a person who has raised kids and has grandkids, I have seen plenty of W-sitting. You have to look at every situation within context. Some of the factors that need to be considered to determine if W-sitting is an issue or not include muscle tone, joint flexibility, movement patterns, core control, frequency of W-sitting, other sitting positions used, whether the feet turn in or out when W-sitting, just to name a few. W sitting is a normal variation of sitting, along with all the other ways children can put their legs when sitting, so as long as children use varied positions and are typically in and out of the W position, it is usually not an issue. It can however, be a problem in some situations and the skill of the therapist is in determining the primary reason for the W sitting and whether there is a need for strategies to be implemented. Three personal examples I will share relate to my 2 grandchildren, who by the way are typically developing, and an adult niece. One grandson used W-sitting more frequently as a 2 to 3 year old when playing on the floor, but this had no impact on his motor function as he had great muscle balance and coordination. The other grandson was W-sitting all the time prior to walking , with feet pointed inward, and clearly was turning one foot in enough when he started walking that it caused more frequent falls than you would expect for that stage of development; so our family just emphasized getting the legs out front or sitting up on a surface to play, such as at his brother’s table and chair set, which he loves. As he is spending less time on the floor and more time walking and learning to run, the issue is resolving. My niece, who is now in her 30’s, was a constant W-sitter as an infant and young child; she walked for the longest time with her feet turning inward almost 90 degrees. She saw an orthopedist and was told she had anteverted hips and nothing short of surgery would change that (which she did not have done). She went through some years where hip pain was an issue, but as a now 35 year old woman she walks perfectly normal other than some ankle pronation. On the other hand are the children with atypical tone issues who may use this position for different reasons, such as the child with spasticity who can only sit in this position as they do not have the flexibility in their lower body to sit any other way; those are the situations where there is a need for implementing strategies to prevent the possible impact on balance, coordination, motor function and/or musculoskeletal status. Overall, I love that you bring attention to this issue, especially since as therapists we are cued to think twice when we see this, but it is not necessarily all “bad” when a child W-sits. We need to remember to look at the whole child and not solely at the way they sit. This is an awesome read. My son has problems with his right leg turning in. He is a W sitter. Everything in the read has been said to me by his PT. We encourage him to put his legs in front, he wears an ankle weight during play each day. On major strengthing exercise we use is climbing up the slide. He has a long way to go. He is quite clumsy at the gait, but strengthing his muscles in his buttocks and back and keeping his hips out along with no W sitting will turn it all around. Thank you again for the post and informing so many parents. I HAVE A SON, NOW 29 YEARS OLD, WHO ALWAYS SAT IN A “W”. hE HAS NEVER HAD ANY TROUBLE. mADE VARSITY WRESTLING HIS FRESHMAN YEAR IN HIGH SCHOOL, IS ABOUT 145 LBS AND CAN BENCH PRESS 200 LBS. ALWAYS HEALTHY AND STRONG AND VERY ATHELTIC. DON’T BELEIVE ANY OF YOUR “STUFF”!!! I always did W- sitting while i was a child and even through my teen years. Was very sporty with great coordination ,almost ambidextrous ,very good fine motor skills as well. For me it was the most comfortable position ever. It is so nice after 20 years of teaching dance to read that I have been doing the right thing. I never let children sit like this even when they say it is comfortable. I was always worried about damage to the knees and developing tightness in the hips. well I sat like that growing up and I didn’t have any trouble at all. I sat like that in the bed after I gave birth to my first child. It’s comfortable and I didn’t walk any different at all. So I guess I was different than most. Also my kids did and they turned out find. So not all have issues. My 70 year old mom has sat like that her whole life. she has not suffered from any of those “problems”. She has full range, not penguin toed, not flat footed. Nothing. She played softball well into adulthood and at 70 is more active then most people her age. I watched her fold clothes on the floor this week sitting in the W. I smiled to myself thinking this is how I will always remember my mom. She has never sat with her legs crossed. My cousin has a daughter who sits the same way. She is in competitive dance and super flexible. she just says it is more comfortable to sit in the W then having her legs crossed. Since I have been a parent, I have heard that I should discourage my children from W-sitting. It fascinates me how much OT has changed over the years. When I was a child in the 1970s, I was pigeon-toed. My mom took me to a podiatrist who prescribed W-sitting as a correction for my inwardly-turned feet. I thought W-sitting was terribly uncomfortable and had to be reminded constantly to sit that way. Now W-sitting is thought to cause a pigeon-toed gait, not correct it. Thank you for this post! My son squats a lot while he plays, and his preschool teacher commented that he squats during story time. My son was able to squat and play before he was even able to walk. One of his OT evaluations said he W sat, and when I asked the OT about it, she said a squat is essentially a W sit. Is this true? We’ve been working on core strength, postural control, and taylor sitting, but it’s not coming easily. Any suggestions, or just keep doing what we’re doing and it’s going to take a while? My two sons, and my husband all sat that way. None of them had an problems as you spoke of. My husband played football, high school and college, and drafted for pro football team, but did not participate… He always felt that sitting that way helped his knees to be more agile… where others on the team were not able to take hard hits.. without injury to their knees. Both sons were athletes also, never had any problems, and still sit this way… both have children that sit both regularly and W sitting…. I think that your blanket statement is wrong…. I understand why you made it. If you see that children are having problems…yes, by all means stop them… but don’t brow beat the rest of us who have children who sit this way naturally… no one taught them to do it… and we as parents don’t find it a problem. I always see these articles and I wonder if the w sitting for some is indicative of a larger problem but not for most. My daughter is 13 year old nationally ranked gymnast (US). She has been w sitting since she was ten months old. Clearly it didn’t affect her muscles, core strength, etc. My boys never w sat, and both of them needed occupational therapy as kids for poor muscle tone. They are fine now (18, 15) and play sports competitively alongside their peers. Just thought it was interesting that my w sitter is by far my best athlete with the strongest muscles in my three kids. I wish my Mom was told sooner than she was, I’m 54 years old and been picked on all of my life because of being pigeon toed. Sat that way during my younger days until the doctor advised against it.If your child has had no issues good for them, why risk it. The interesting part is that so many people have done this will little or no consequence, and therefore feel that this article is off-base. My mother worked for over thirty years as a PT for handicapped kids. The risks and consequences are real, as so many of her children can attest. Because you or your children didn’t have issues doesn’t mean this isn’t a behavior to avoid; it means you were lucky or that there were enough other factors which helped negate the effects of it (like gymnastics). I haven’t died of a car accident either, but it doesn’t meant I drive without a seat belt or allow my children to. Rather than simply classify this article as “alarmist,” why not take the time to ask your own pediatrician or PT their thoughts on allowing a child to sit this way? Many more are against it than you would think, for the reasons listed in the article. I’m also a teacher and I’ve run into a handful of kids like my family over the years. Cross-legged hurts. I don’t force them to sit that way, ever. (And seriously, as a teacher I’ve got way more important things to worry about than whether my students are sitting w-style or not…pick your battles, folks). I think for some people, w-style sitting could be developmentally detrimental, but for others they are just naturally inclined to sit that way. It’s like the ability to roll your tongue or having double joints. We used to force lefties to write with their right hands, but we don’t do that anymore. I don’t think we should be pestering kids about the way they sit, either. My yoga teacher sent me this article… i have been sitting this way over 50 years and have had no pain.. but very poor balance and coordination.. ( and my feet turn slightlyn”out”)..Because yoga made me aware of this problem..
i find a yoga block helps me and reminds me to sit a different way,… and is kind of “fun”!!! I am 42, i still sit like this, sometimes, it has helped with flexibility, worried about the “shortening of the ..” is bs.. try yoga Baddha Konsana position, it will counter that. My daughter is now 11 and has always and still W sits. She say’s it hurts to sit criss cross and this is the most comfortable postition, but she does complain alot of knee and hip pain and now I’m wondering if this could be the cause? Can you cite any actual study that shows any real negative effect of W sitting? I would absolutely discourage a child from sitting like this and appreciate the significance of the research and problems involved with “W” sitting. And you definitely SHOULD brag about your mother! :) WOW!! 103 is amazing and to be able to live that long without pain and with happiness is wonderful! Thank you for sharing! Thank you for the article – it’s the first one I found with a reference to scientific study on w-sitting. Still did you read the study (Chen KC, 2010)? I don’t have access to full text so I have a very relevant question – did the authors established causality between w-sitting and flatfoot or just observed a correlation? It the latter is true we can’t say that w-sitting causes anything bad – it may be just that children prone to experience flatfoot are also likely to w-sit more frequently (and both these things may be caused by third factor). Hello … i have a 12 year old sister who sits in w position and she is not able to fold her legs due to that, she says that it hurts whenever she tries to fold her legs. My partner and i still can not quite believe I could possibly be one of those reading through the important recommendations found on this blog. for giving me the chance to pursue my own chosen profession path. Thank you for the important information I acquired from your web site. I’m a Physical Therapist, and although I learned that W sitting is not good in school, I have been unable to find any peer reviewed articles to support this theory. Can you give me some links of research that has shown the causal relationship between W sitting and future hip problems? My almost 3 yo often sits in the W position. He is not comfortable/able to sit with his legs crossed. He alternately sits in a spread eagle legs position or modified spread eagle with his legs bent. Are these positions any better than the W? They also seem limited in mobility. He has always had tight hips, but had them checked via ultrasound around 9m at our doctor’s recommendation. No problem was found. Thank you so much for you thoughts! Horrible confession time: Once upon a time I worked in a private adult foster home for developmentally disabled individuals. My boss, a certified nurse owning and running the home for over twenty years, saw me w-sitting one day and informed me that my sitting in that manner was a sign that I was mentally retarded. Extremely insulted and horrified that she would say such a thing I have, spitefully, sat like that almost every time I’ve sat on the floor since. Fortunately my two children have never picked it up and done what momma does. They both prefer to sit with their legs straight out in front of them.